Worcester Boilers Reviews are a joy to do, because they are one of the biggest and most popular manufacturers of boilers in the UK, with energy efficiency at the forefront of their designs. Over the course of many years, Worcester-Bosch have grown in popularity in the UK as they continued to manufacture some of the most highly efficient and modern boilers for household use. The company known originally as just Worcester was established in 1962 by Cecil Duckworth. And became Worcester, Bosch Group after they were acquired by the German engineering and electronics giant Robert Bosch GmbH in 1992. From its humble beginnings as a small engineering business, it has expanded into one of the biggest boiler manufacturers in the country. Good Technical support when they break down. Rear piping Chassis on most models [ great for concealing pipe work ]. There are numerous controls to help you get the very best use out of the Greenstar 25i. The control panel is laid out simply to allow for easier and quicker diagnostic checks, without an engineer even being present. They can talk you, the customer, through the necessary checks, before determining whether a call-out is necessary or not. It also means from a simple flap, if an engineer does have to come out to do an annual Worcester Boiler Review in person, they will be able to have access to what they need, quickly and efficiently. As well as using the intuitive and easy to follow control panel, there is the option for greater control over your energy consumption and programming heating schedules to use the company’s own smart thermostat. The Worcester Wave can be controlled using the Wave app on your smartphone or other device. However, even if you are big on doing things the traditional way and find digital things a nightmare to deal with, the Greenstar Comfort thermostat is still a reasonable option. Although the Greenstar 25i is considerably bigger than its predecessor, the 24i Junior, it is still not particularly big by industry standards, at 710 by 400 by 330 mm. However, if you are looking for a smaller, more compact boiler to hide away in a kitchen cupboard – you may be best looking elsewhere. As is the standard with all their Greenstar line of boilers, Worcester-Bosch provides a 5 year warranty on the Greenstar 25i combi boiler. This is free of charge and can even be extended by another 5 years if you arrange for a Worcester-Accredited installer to set up your boiler. One of the reasons why the Worcester-Bosch line of boilers, from the Greenstar range in particular, are so popular is that they tend to be incredibly highly efficient when it comes to energy usage and conservation. The Worcester-Bosch Greenstar 25i for instance, as we touched on earlier, has an above 90% ErP rating, making it an A-rated boiler. So, it is not just a powerful and high performance boiler, but one that will help you save a lot of money on your monthly premiums and help reduce the carbon footprint of your family or household. Every single product is tested to ensure it meets a specific set of criteria based on their energy efficiency readings. For instance, according to the ErP directives, the boiler has an improved design that lowers the carbon footprint and reduces the amount of energy wasted by the appliance. It would be wrong to try and argue against the facts, and go against positive Worcester Boiler Reviews. Worcester-Bosch do make solid and robust boilers that will last a long time, that offer the energy efficiency a lot of householders are looking for. The company has built up a lasting and trusted relationship and reputation with the consumers and industry experts who love their products in the UK. Add-on Worcester controls are overpriced. Bespoke flue options are overpriced. Spare parts can be expensive. Reliability not as good as it used to be. You get extra warranties if you use their own brand controls & magnetic filter. You can get better value from other manufacturers. Magnetic filter is cumbersome and ugly. Better filters available from filter manufacturers with better warranties. Warranty on their controls are very poor. Worcester reps are thinly spread. We added red to the above headline not for dramatic effect, but because we really feel this is a big downside to Worcester-Bosch boilers in 2018. While Worcester-Bosch are the market leader in the UK when it comes to gas boilers, we believe they are being arrogant by not matching other manufacturers like Viessmann in offering a stainless steel heat exchanger. Instead, they have chosen to stick with an aluminium heat exchanger, which has been known to cause a lot of problems in independent or long term Worcester Boiler Reviews. One quick Google search will show you the amount of problems plumbers and consumers alike have been reporting with this particular heat exchanger, and also other aluminium heat exchangers manufactured by a third party company called Giannoni from France, which is used by all major boiler brands in the UK like Ideal, Vaillant, Baxi, Potterton etc. 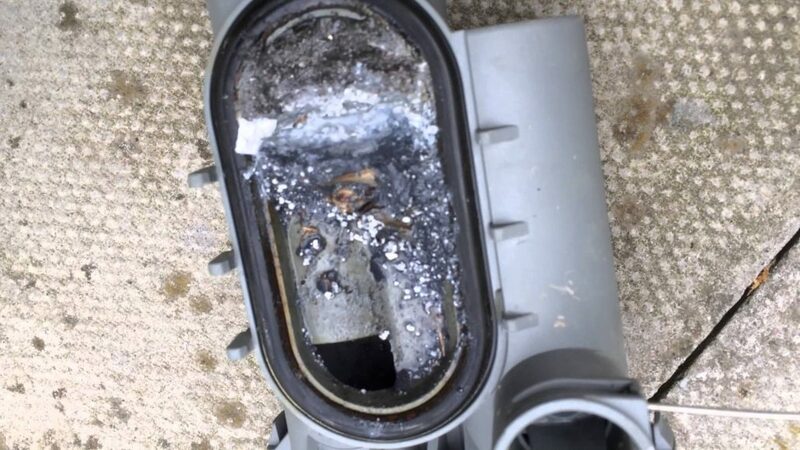 Common complaints include heating waterway to be clogged up with black oxide sludge and debris. Periodical power flushes or chemical flushes can help alleviate these problems. But corrosion would still happen quicker on aluminium compared to stainless steel. Below, you can see a picture of a blocked aluminium heat exchanger used in Worcester-Bosch Boilers. You don’t need to be a rocket scientist to know that aluminium is a cheaper, less reliable, and more corrosion prone metal compared to stainless steel. And since a heat exchanger is at the heart of every boiler, tolerating extreme mechanical stresses inside an environment similar to a furnace, quality matters. A heat exchanger is to a boiler, what an engine is to a car. Viessmann’s heat exchanger is not only made out of Inox stainless steel (the highest grade of stainless steel), but it’s also patented and manufactured exclusively in-house. 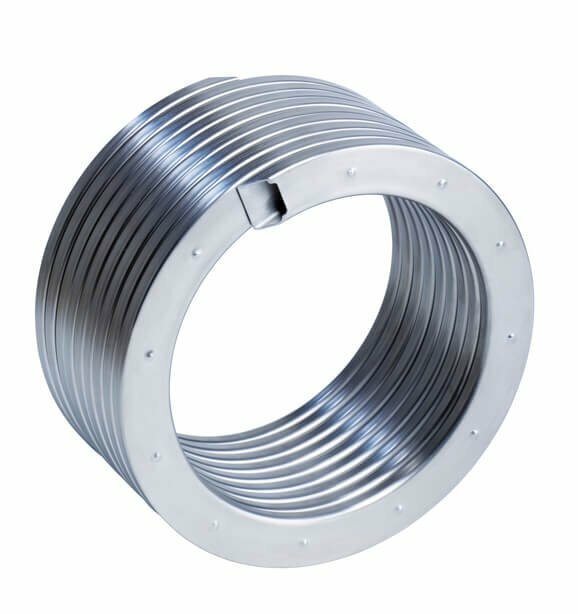 It’s called the Inox-Radial Stainless Steel Heat Exchanger. And quoting many engineers and installers we’ve worked with over time, it’s an “impressive piece of kit.” By not outsourcing the construction of this component to another company, not only have Viessmann upped the ante when it comes to technology, reliability, corrosion resistance and efficiency, it also means they are able to offer their boilers at a competitive price point. They have also been able to finely tune it over time, so that it performs to the highest levels of efficiency as possible in 2018. Which is one of the reasons why a prominent consumer survey magazine in the UK awarded it “Best Buy Boiler”. We feel that Viessmann, although not nearly as popular, make a better, more reliable boiler. 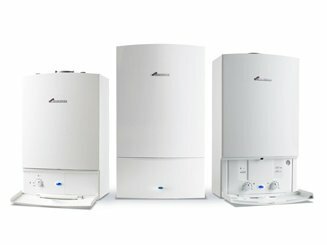 Worcester-Bosch boilers, although they are indeed highly energy efficient, particularly when you compare modern boilers to older models from many years ago, and many of the company’s competing products, they still could be better. At Boilerhut, we are not surprised at the popularity of Worcester-Bosch boilers. 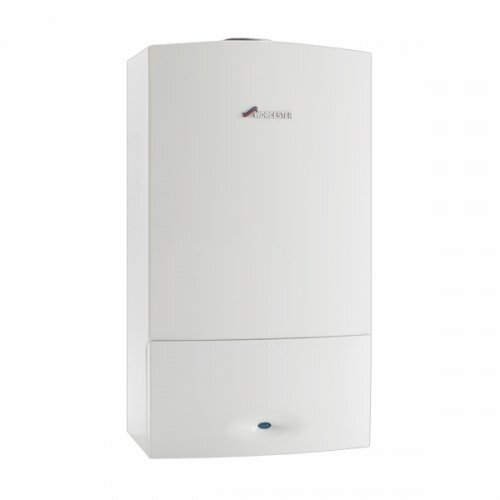 And don’t get us wrong, they are high quality boilers with solid build quality and high efficiency. You can see that in any Worcester Boiler Review. However, based on our findings, and recent experience during 2017-2018, we believe that Worcester-Bosch have rested on their laurels and don’t feel the need to improve any further. Whereas manufacturers like Viessmann, in their attempt to establish their brand as the best, are innovating and adding exciting new technology. With a Viessmann Boiler, not only will you be rewarded for your investment with a reliable boiler that won’t let you down; but you will have one that runs more efficiently than many of the company’s closest rivals, like Worcester-Bosch for instance. If you do decide to opt for a Viessmann boiler, get in contact with Boilerhut as we are Viessmann Approved Installers who have a lot of experience working with Viessmann boilers and would be happy to help you. If you would like a quick online quote within minutes, simply enter your postcode below and hit the green button. Our intelligent quoting system gives a quick estimate based on your property type, your existing boiler and other options, which should be fairly close to the final quote. One of our surveyors will then discuss your final quote over the phone and we will install your brand new boiler at your home within 2-3 days.